THE NATURAL HAVEN: Natural Hair Magazine : How about it? Natural Hair Magazine : How about it? Thank you very much for the great response to my magazine. I would like to do a new online edition with a wider breadth of features including hairstyles, accessories, styling ideas, possibly products etc. This will be a 'fun read' as opposed to my initial magazine which was more of a scientific journal (don't worry, I'm still making these - next one up is an ingredients issue!). How about it then? Would it be of interest to you? I would read it all, from cover to cover. Great ideas Cocoa Chick! Thank you so much! Carol- thanks for the support! I would love to be a contributor if you'll have me. Should I email you? I absolutely love this idea. And, if you're serious about needing contributors, I'd be happy to lend a piece or two. 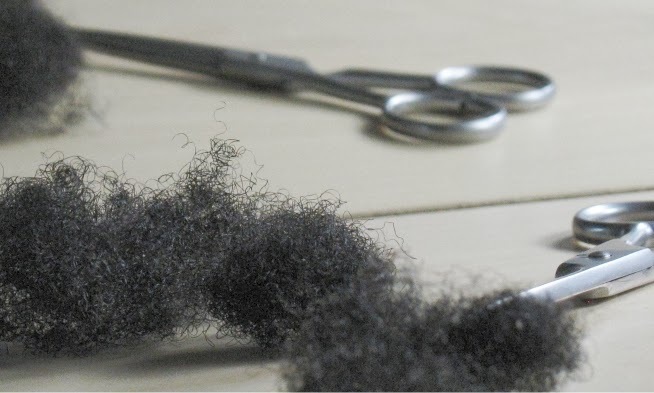 I've been toying with the idea of a piece discussing the value of a rigid and diligent "hair regimen," vs. simply doing what it seems your hair needs, as it needs it. I think there are good arguments for both approaches! I really liked the magazine; for me knowledge is power. It keeps me from making silly mistakes. Shampoos and Conditioners with no sulfates and no silicone that don't break the bank. Hey Jc - you know I love the idea! I'm not sure how you would like me to contribute, but I will help out any way that I can! I think that you should feature Cipriana of Urban Bush Babies... Shes has wonderful hair, Maybe you could try and rope in Kimmaytube and interview her...? Thanks for all the ideas lovelies, I will write back! Do you have this magazine in a pdf form so i can print it or save it?